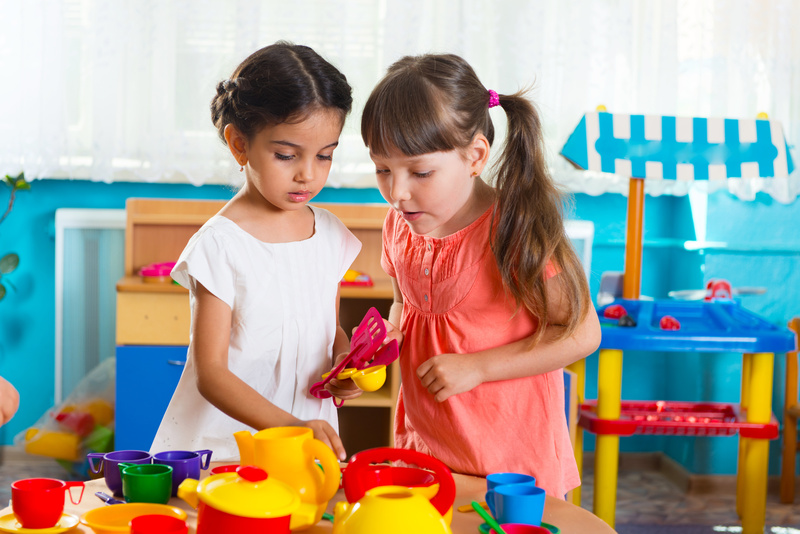 Playdates give kids an opportunity to build individual friendships and practice related social skills. Playdates can be brief – An hour is plenty for young children or children who don’t know each other well. Older children that get along well can often handle longer stretches. Balance unstructured and structured time – Unstructured is open play time indoors or outdoors. Structured is set-up activities that may need direction or supervision. It’s good to prepare for both. Have the activities as a backup – When the unstructured play is going really well, I tend to let that take the bulk of a playdate. If kids aren’t getting along or seem bored, the structured activities can be helpful (see list below). Allow your child to put a few things away – Help your child by letting them put away any toys that they would have difficulty sharing. Everything else is to share – Prepare them that all other toys are to be shared. For young children, you may have to manage turn taking. One-on-one or at least four children – Two children for play is plenty. Three is definitely a crowd as one tends to get left out. If more than two, go for four or more which is more of a party than a playdate. Snack can help – Snack provides a short break from play and a chance for kids to just talk. You can also make snack more playful by having a picnic or playing restaurant or letting the kids participate with prep and set up. Check for allergies before the playdate. Okay to play separately – Sometimes kids are happy just to play near each other. One may be content with trains while the other is working on puzzles and that’s okay. Your house, your rules – Whatever you would expect from your children (not jumping on beds), is fine to expect from all. Outings can be fun – Think bowling, the playground, movies or a nature walk. Invite a variety of kids – For my own children, we made the effort to get to know all the other children in their classes. Of course, the majority of playdates were with the friends they choose, but it’s nice to branch out too. Be clear about the parent or sibling staying – It is great for the other parent to stay. It gives you a chance to get to know their family, and their child may be more comfortable. As children get a little older, it is also fine for playdates to be drop offs. It is also okay to invite siblings to attend, but it’s not necessary. If two or more of your children are hosting playdates at the same time, it may be helpful to give each pair their own space to play. Put pets away – Between allergies, children being scared or being rough with pets, it may be best to put them away. Fine to cut it short – If it isn’t going well or if children are being aggressive, it is fine to end the playdate.